PROVIDENCE, RHODE ISLAND (June 20, 2016) – Tony Jones, state director for the Libertarian Party’s Johnson | Weld 2016 campaign, calls upon the Brown University’s Taubman Center for American Politics and Policy to include third party presidential candidates in their future polls. In Brown’s most recent survey, released on April 24 in advance of the Rhode Island primaries, one in six voters were undecided. Among voters with a declared party affiliation, 16 percent of Democrats and 17 percent of Republicans were unsure which candidate they would choose. Among unaffiliated voters planned to vote in the Democratic primary, 24 percent were undecided; among unaffiliated voters planning to vote in the Republican primary, 18 percent were undecided. In addition, a Wall Street Journal/NBC News poll in May reports 47 percent of registered voters said they would consider a third party candidate. National polls have Gary Johnson at about 11 percent against presumptive nominees Donald Trump and Hillary Clinton. 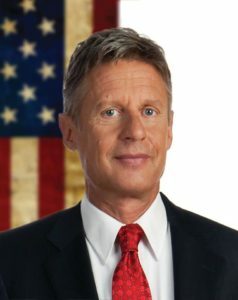 Gary Johnson, former governor of New Mexico, was chosen as the 2016 Libertarian Party nominee for President at the party’s national convention at the end of May. Johnson’s Vice Presidential running mate is former Massachusetts Governor William Weld. According to the rules promulgated by the Commission on Presidential Debates, a candidate qualifies for the debate stage if he or she polls at 15 percent. However, in order to meet the requirement, the candidate must be included in polls, which creates what could be termed a “Catch 22” situation. “Voters have choices beyond the Democratic and Republican candidates, but because those two parties control the rules for participation in debates, the two parties dominate the elections,” Jones observed.